Former Manchester United and England defender Rio Ferdinand admits that he is still surprised Manchester United let Javier Hernandez leave for only £7.3 million. Javier Hernandez left Manchester United last year, after having spent 6 seasons at the club, to join Bayer Leverkusen due to his fallout with the then manager Louis Van Gaal. The season before he left Manchester permanently, he was on loan at Real Madrid, where he failed to establish himself as a starter among the likes of Karim Benzema and Cristiano Ronaldo. Since joining Leverkusen in 2015, the Mexican International has displayed impressive form, scoring 33 goals in his 53 appearances so far. And former Manchester United defender, Rio Ferdinand, believes that the Red Devils made a mistake in letting Hernandez leave on the cheap – for merely £7.3 million. Rio spoke to the Evening Standard about Leverkusen’s tie against Tottenham Hotspurs. 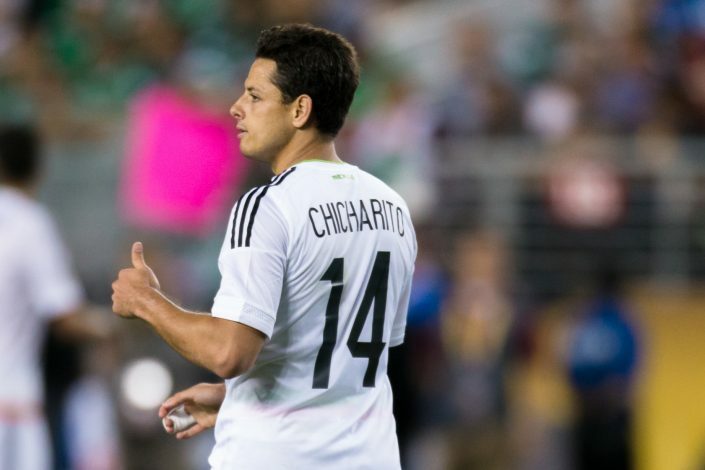 He mentioned that Hernandez will be a threat to Tottenham, before admitting that Manchester United made a big mistake in selling him so cheaply. “Spurs will have to watch out for my former Manchester United team-mate Javier Hernandez because he is a potent striker who takes his chances,” he started. Javier Hernandez joined Manchester United in 2010 for an undisclosed fee, after getting monitored by the Reds for nearly a year. He went to make 157 appearances for United, scoring 59 goals. However, most of his appearances were from the bench as a second-half substitute. Hernandez was also compared with former Manchester United striker Ole Gunnar Solskjaer, due to their similarities in playing style and tendency to score late, crucial goals.